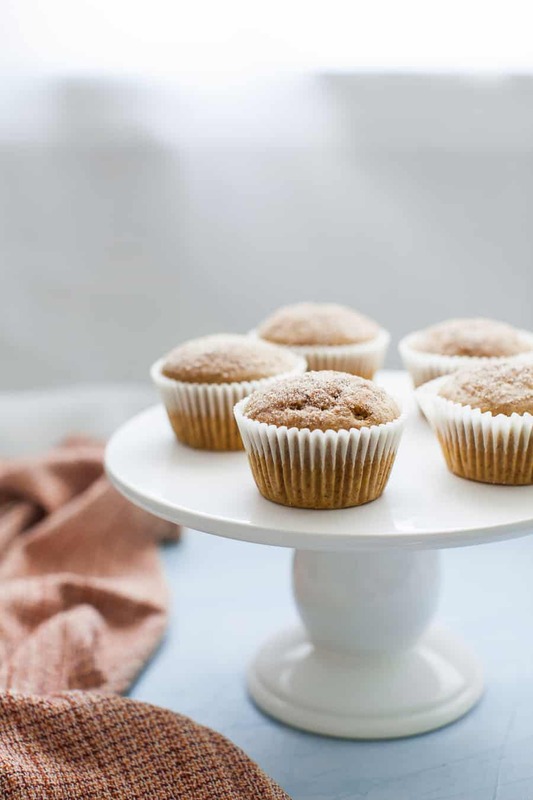 Celebrate the fall season with Pumpkin Snickerdoodle Muffins! 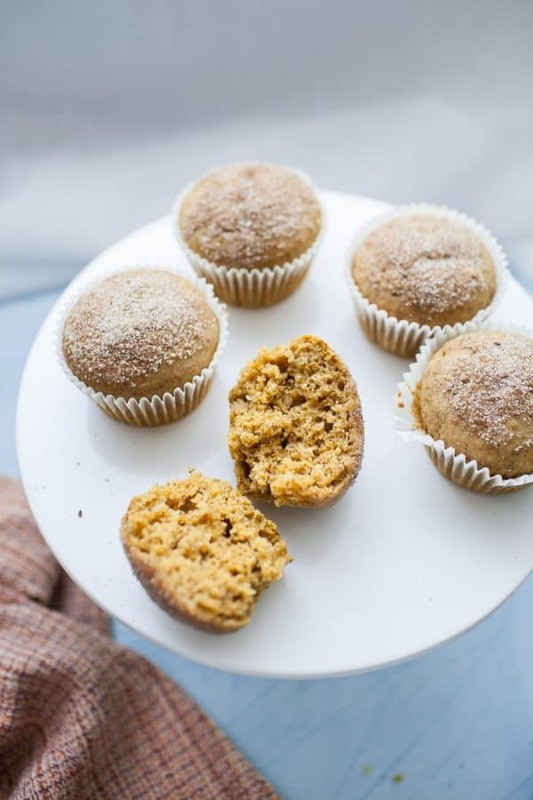 These muffins have pumpkin, fall spices like nutmeg, cinnamon and cloves, plus they are sweetened with only maple syrup. 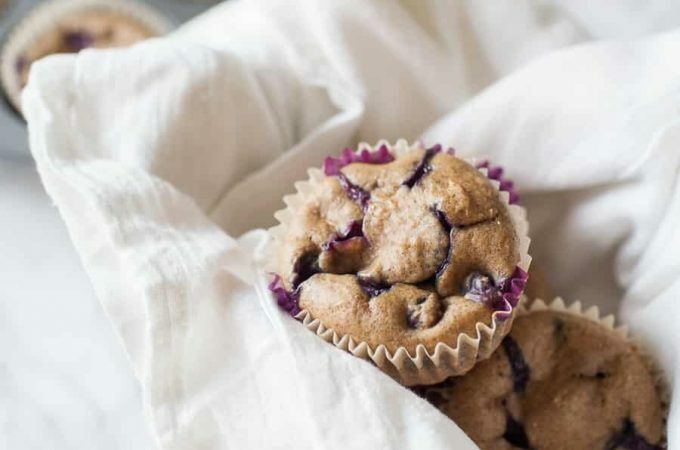 Make these muffins for a perfect breakfast or snack. When I think of fall, I think of pumpkin. And fall spices. Nutmeg, cinnamon, cloves. Even though we have a really late fall in Arizona (try early November), by the first of September I am ready for fall baking. All the apple and all the pumpkin recipes, please. 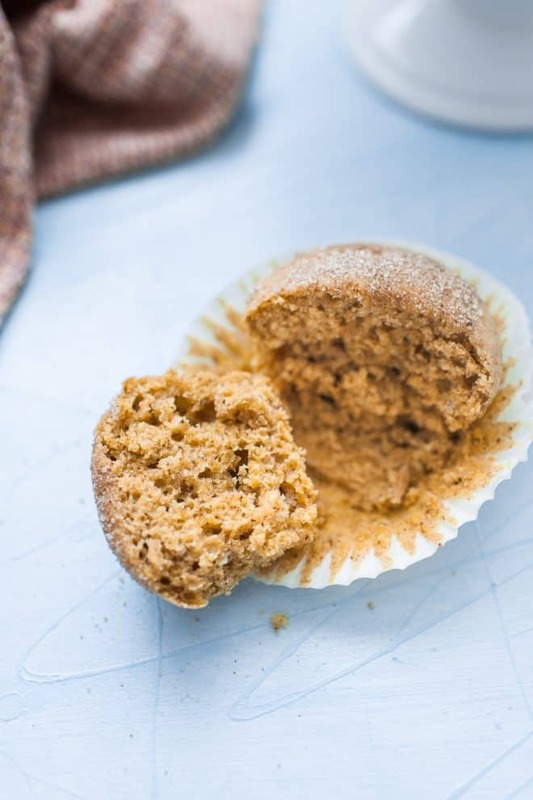 So, if you’re ready for all the pumpkin recipes, too, you’re going to love these Pumpkin Snickerdoodle Muffins. 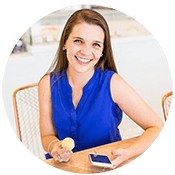 What does a snickerdoodle taste like? Snickerdoodle is typically a cookie that is soft and chewy, rolled in cinnamon sugar. 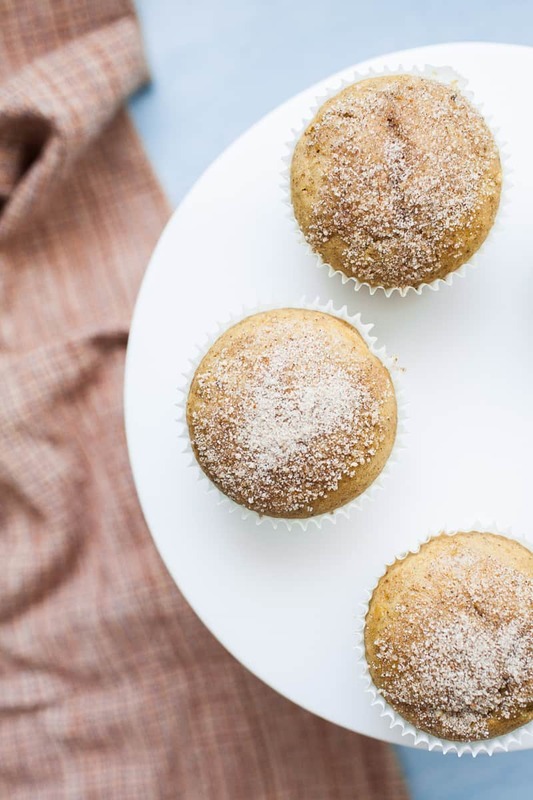 These muffins are light, soft and topped with cinnamon sugar, just like a traditional snickerdoodle cookie. 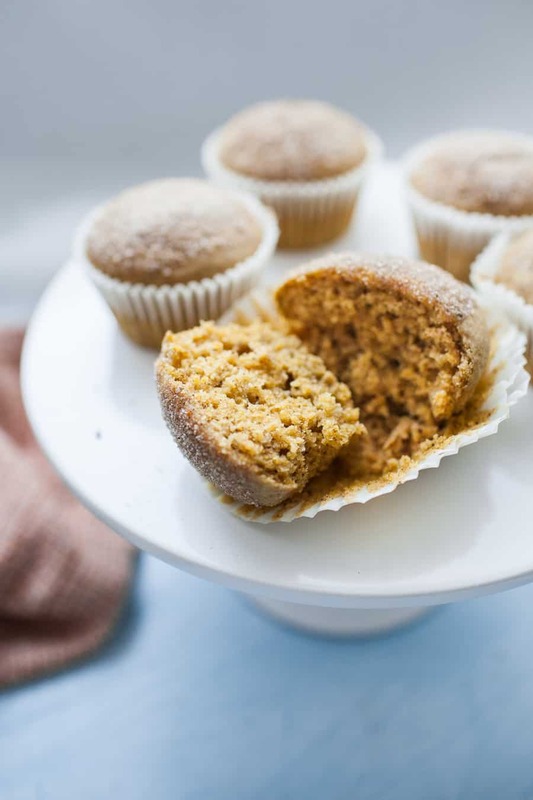 How do you make pumpkin snickerdoodle muffins? Take a mixing bowl and add the dry ingredients to it. Use a wooden spoon or flexible silicone spatula to combine the dry ingredients. Then add in the wet ingredients and mix everything together, being careful not to over mix the batter. Fold over the batter to mix in the dry ingredients. Grease a muffin tin with cooking spray and use a measuring cup to add batter to the muffin tin. Bake at 350° for 20-22 minutes, until muffins bounce back when gently touched.. Allow the muffins to cool in pan for 3 minutes, then move to a wire cooling rack, let them cool until they are able to be handled. Once the muffins are cooled enough to touch, get your snickerdoodle toppings ready. You’ll need a small bowl with coconut oil (fractionated or melted first) and a bowl combining 1/4 cup sugar and 1/2 teaspoon cinnamon. Use a basting brush to brush coconut oil onto the muffins. Then dip them into the cinnamon sugar mixture. Let muffins cool completely on a wire cooling rack. Then line a large glass storage container with paper towels and place cooled muffins on top. Then place another paper towel on top. This helps the muffins from getting too moist and spoiling. Change out paper towels if they become moist. Store at room temperature and eat within 2-3 days. If they aren’t going to be eaten within that time, I recommend freezing them instead. 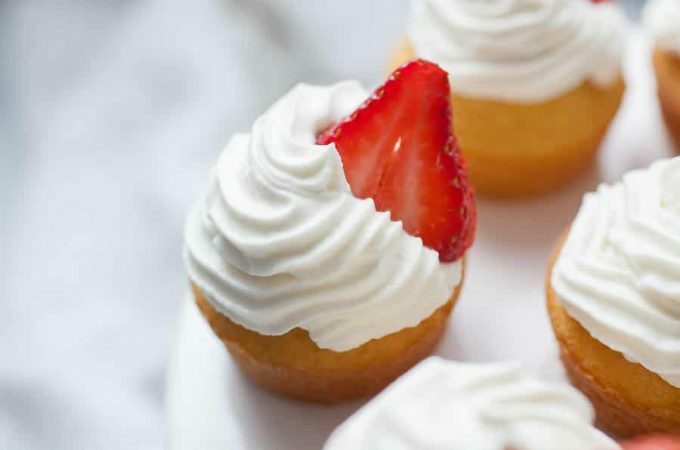 Can I make these muffins dairy free? Sure! 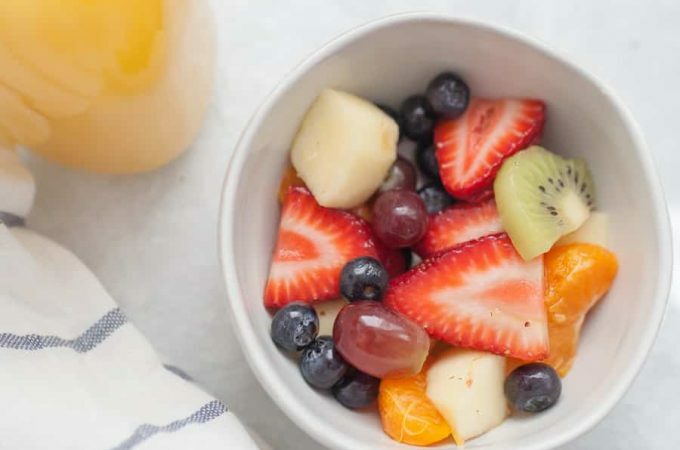 Instead of using yogurt, just use an extra 3/4 cup almond milk or non-dairy milk of your choice. Can I make these muffins gluten free? Yes! Just use a 1-1 gluten free flour. Alternatively, you can use 2 cups of oats, ground into a flour using a food processor. The muffin batter is too dry. How can I fix it? Add a tablespoon of milk at a time until the batter is the right consistency. Love the idea of Pumpkin Snickerdoodle Everything? 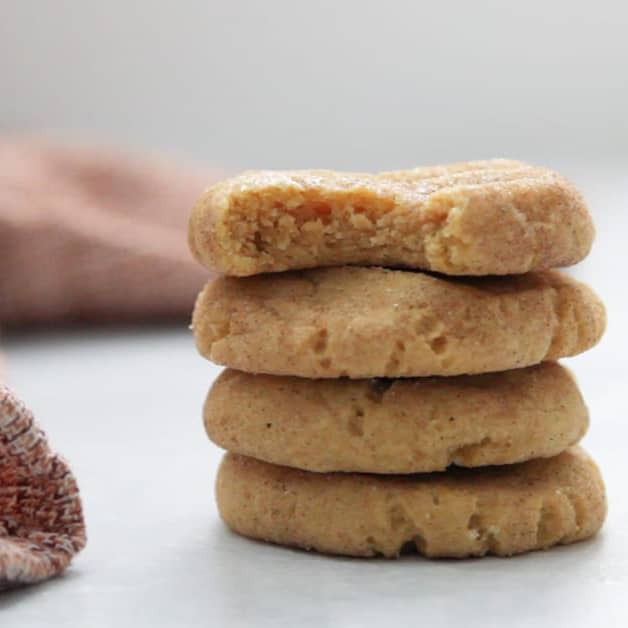 Try these pumpkin snickerdoodle cookies, too! Send a batch with your spouse to work. Text a friend and invite her over for a cup of coffee and these muffins. 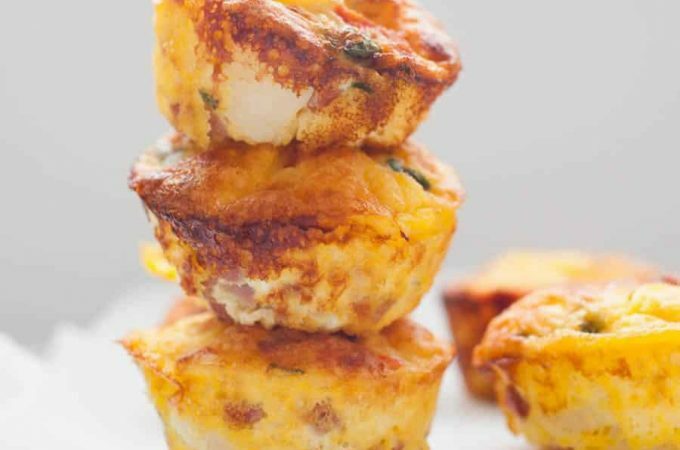 Try serving these muffins with these recipes for a successful brunch! Preheat the oven to 350°. Grease a 12 count muffin tin and set aside. In a mixing bowl, mix together dry ingredients using a wooden spoon or flexible silicone spatula. Add in wet ingredients and fold over the batter until flour mixture is mixed in, being careful not to over mix. Use a scoop to pour muffin batter into greased muffin tins, about 3/4 of the way full. Bake for 15-18 minutes, until muffins bounce back when gently touched. Cool in muffin tin for 3 minutes, then remove from tin and cool on wire cooling rack. Once muffins are cool enough to handle (but are still warm), use a basting brush to cover muffin top with coconut oil. Then dip the muffin into the cinnamon sugar to coat the top. You can make these gluten free by using a 1-1 gluten free flour or using 2 cups of oats, finely ground. To make this recipe dairy free, use 3/4 cup of your choice of dairy free milk in place of the yogurt. Skip the additional 1/4 cup milk in this case. These muffins look fabulous! 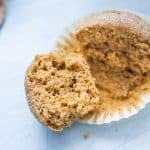 I love the little bit of crunch on the top from the sugar, and pumpkin helps keeps baked goods so nice and moist. Scrumptious! Oh my gosh, I love everything about these! We will be making these a few times this fall! MADISON. I need these muffins in my life immediately! So perfect for the fall weather we’ve been feeling here in Dallas and for the coming months. Nicely done!